Marriage and family are a key to a society’s structure. 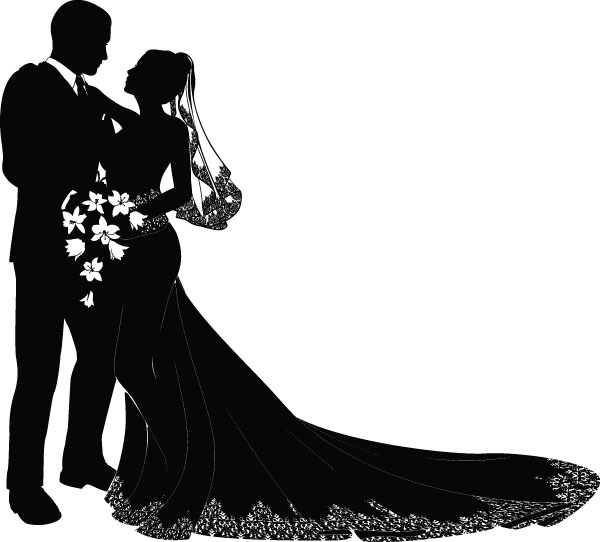 So, I asked myself this weekend “What does the Bible say about marriage?” As I combed through the concordance, there is many references to marriage, husbands and wives. I have selected a few to share with you. Marriage is a covenant between a husband and a wife. This particular verse has meaning to me in that I wanted to marry a man with the same faith values as me, because I knew there could be disagreements about such things as going to church, reading the Bible, prayer, etc. ; especially when it came to raising our children. Faithfulness to one another is key. I understand this verse can be countercultural if you watch various films and television programs where partners live together before marriage, spouses cheat on one another, etc. However, I believe God is protecting the sanctity of marriages as it is a holy union between husband and wife. As wives, we can either be a blessing or a curse to our husbands. I look back on a time when a friend shamed my husband in front of me and the kids. I remember how awful he felt. Unfortunately, we had to end that unhealthy friendship, because we understand the importance of wholesome relationships. It’s important to respect one another and our marital positions. I know this verse is not very popular in our American culture today; especially with the feminist movement. However, God is a God of order and He is above all and places the husband as head of the household. In addition to the huge responsibility of being head of his family, a husband is given the duty to love his wife sacraficially. Frankly, I appreciate this covering from my husband. Now, is it always easy to submit, “No.” I grew up very independent, career driven and didn’t marry until 35 years of age. So, I am learning what that looks like. As a result, I believe God has blessed our marriage of 17 years. These verses are just a few I discovered on marriage. There are many more in the Bible. I encourage you to seek for yourself. What principles is your marriage built on? I would love to hear about them. This week, Randy and I will celebrate 17 years of marriage and I’d like to share a story with you. I hope you enjoy it. I nervously paced back and forth in the church auxiliary room while our family and friends awaited my grand entrance. I reflected on the day’s events. It began early with a delicious mocha and bagel as I drove sixty miles to my hairdressers. Two hours later, she handed me a mirror. On my way to the church, I called my future mother-in-law, Dianna, to let her know I would be there soon. Upon my arrival, my future sister-in-laws whisked me into the preparation room to help me with my dress and final touch-ups. They excused themselves and I was alone for the first time all day. I heard our guests arriving and groomsmen seating them. I gazed into the mirror one last time and thought to myself. After being the bridesmaid for the umpteenth time, I’m finally a bride at thirty-five-years-old. I grinned while I reflected on our initial meeting two-and-a-half-years earlier. Dianna and my manicurist talked about us for one month and then exchanged our phone numbers. Randy and I met for coffee the following Friday and found we had a lot in common. After a lengthy discussion, we grew hungry and continued our conversation across the street at a Chinese restaurant. Three hours later, the owner leaned against the wall with folded his arms. “Sorry, folks we closed 30 minutes ago.” We chuckled as we excused ourselves. My reflection was interrupted when my favorite song started playing on the church sound system. Our friend, Gervy, put together a video collection of our childhood and dating photographs. I was pleasantly surprised to hear it in stereo, because originally he was authorized to use his projector with tiny speakers. Sniffles and sighs of “Ahhhh” soon followed as folks reminisced. Goose bumps traveled up and down my spine as I anticipated my long-awaited walk. I met my father in the hall leading up to the altar. Our friend, Shannon, sang “This is the Day that The Lord has Made” while her husband, Blaine, accompanied her on guitar. As we strolled down the aisle, everyone stood up and cameras flashed. I looked at my beaming groom. We both had waited a long time to find the person we would spend the rest of our lives with. Next to him stood his groomsmen; his brothers Mike, Ryan and my brother Greg. When I reached him, our Pastor asked my dad the proverbial question. “We do,” he proudly said. He gently transferred my right hand into my future husband’s hand. I stepped forward, but struggled. I quickly looked behind me and noticed my father standing on the lace train of my dress. Stunned, he forgot to sit down after giving me away. Next to me stood my bridesmaids and my long time friends Joyce, Gillynn and Carina. Our ceremony was traditional with scriptural readings, the lighting of unity candles, Holy Communion, and marital vows. Unbeknownst to us, during our wedding band exchange, Pastor Jim read love letters we wrote to each other. Tears now filled my eyes and Randy gently wiped them away with his thumb. The crowd erupted in applause as we kissed and we passed by them. Seventeen years later, we are still going strong and living in the majestic Santa Cruz Mountains with our fifteen-year-old son and thirteen-year-old daughter. As a tradition, on our anniversary, we watch our wedding video and are reminded of our commitment to each other. Do you have a special story to share with us, please do? When I was approached by Gary Chapman’s publicist about reviewing Loving Your Spouse When You Feel Like Walking Away, I was excited. I enjoyed reading his book The 5 Love Languages. Also, I had the honor to contribute a story in his book Love is a Verb. Dr. Chapman is the Director of Marriage and Family Life Consultants and shares his advice based on his 35+ years of experience counseling couples. One simple tool I took away from reading his new book is looking at how my own thoughts, feelings, and actions impact my husband. I highly recommend reading Loving Your Spouse When You Feel Like Walking Away. Gary Chapman-author, speaker and counselor-has a passion for helping people form lasting relationships. He travels the world presenting seminars, and his radio program airs on more than 400 stations. Disclosure: No compensation was received for this book review. Just passing along a good read. Have you found a goood book about enjoying a healthy marriage? Fidelity – Faithfulness to a person, cause or belief, demonstrated by continuing loyalty and support. My husband Randy and I met when we were 32 and married at 35. By that time, we both had experienced dating nuisances. It is so satisfying to be in a faithful relationship. I know I can trust him when he is attending a conference out of town, and he can stand confident when I am out running errands knowing that’s where I am. Before I met Randy, I dated in the hopes of getting married and starting a family. During that time, I encountered disappointments and heartbreak from shenanigans such as games, infidelity, drug addictions, prejudism, stalking and even incarceration. When I met Randy, it was refreshing to meet a guy that what you see is what you get. There is no pretense in our relationship and we share open/honest communication. In June, we will celebrate 17 years of marriage, and we still share the same trust as we did since we said, “I do.” The insignia on the inside of my engagement ring which reads, “My Best Friend” is a daily reminder. My hope is that my children will recognize the importance of commitment and will experience it for themselves some day with their spouse. Here is one Bible verse that was read at our wedding ceremony I’d like to share with you. What have been your experiences in dating and/or marriage? Do you ever struggle balancing working with motherhood? I think a lot of moms find it difficult to balance career and parenting. Fast forward a few years, my focus became my marriage and family life. Now, I enjoy watching my kids grow. My new challenge is balancing work, taking care of our household, and helping with homework. One way that helps me balance my day is starting out with some quiet time with the Lord, praying and reading God’s word. Carving this time out of my busy schedule always helps me keep focused and makes my day go smooth. Can you relate? If so, what tips have you found successful? In a world where everything goes, it’s challenging to teach your children God’s design for marriage. This week, I am preparing for the “big talk” with my adolescent daughter. Fortunately, my husband and I found a great teaching tool called Passport to Purity created by Focus on the Family. They’ve created a helpful information to have a sober, yet, fun discussion with your children about the facts of life. It helped navigate my husband with our son a couple years back. I highly recommend it for frank discussions with your children. What ways have you found successful to share sensitive material with your family? Another big trial in the marriage relationship has to do with bread-winning. If you both have careers, the challenge will be the perception of whose job is more important. If just one of you has a job, the one who stays at home will need to find some other means of fulfillment. Jobs sometimes require relocation, which can put stress on the relationship and disrupt children’s lives. Every career decision must be approached with care and consideration, including taking into account the wants and needs of every family member. I’ve found this true in our marriage, because early on we decided to have one parent stay home with our two children. Randy was a commercial plumber and I was a manager in Silicon Valley. We made the difficult decision he would be our stay-at-home dad. At the time, it was non-traditional. He stayed home with our son and daughter for thirteen years. Just last year, he returned to the work force. He is a landscaper for a Christian Conference Center and loves his new role. After I left the manufacturing industry a few years ago, I taught for a private preschool until free public transitional kindergarten was implemented. About five weeks ago, I started working in the Facilities Department of a Christian Conference Center and I too love my new role. Although career choices can be a challenge in a marriage, I believe it can also be rewarding if you both agree with the changes. Fortunately, for us we are excited for each other’s new season in life. My hope and prayer is peace as you make a difficult decision regarding your career shift. Are you changing your vocation? If so, please share with us. As Spring time approaches, I am reminded of wedding season and wanted to share my engagement story with you. My then boyfriend Randy’s mom threw us a dual birthday BBQ for our family and friends at our local historic Felton Covered Bridge Park. When we arrived, I found a comfy bench to enjoy my breakfast before preparing for our guests arrived. “Hon, I really need your help moving these picnic tables,” Randy said. “I’ll be there in a moment. I’m finishing my bagel and coffee,” I replied. “Randy, I’m starving and will be with you in a moment.” Hmmm, that’s strange. He’s usually not so demanding. Our festive picnic table and colorful balloons looked great. As we put the finishing touch on the volleyball net, our guests arrived one-by-one. After two hours of fun and games, Randy grilled marinated skirt steaks which complimented everyone’s contribution. The smell of roasting meat on mesquite chips is etched in my memory. During our mouth-watering meal, our family and friends started roasting us saying things like. “I remember the first time Becky pulled up to our house on her new Ninja motorcycle. I thought to myself, My daughter is an official biker, my dad chuckled. We embraced and everyone cheered. Later that day, I discovered only my parents knew of his proposal plans. No one else; not even Randy’s mom or my brother. He replied, “Randy asked me for your hand in marriage recently. I told him. If she’ll have ya, you have my blessing.” He winked. Fifteen years later, we are still going strong and living in the majestic Santa Cruz Mountains with our fourteen-year-old son and twelve-year-old daughter who keep us on our toes. Do you have a special engagement story you’d like to share with us? Please do! Recently, I was reading Change Agent by Os Hillman where he cites divorce statistics. Sadly, approximately 45-50% of first marriages, 60-67% of second marriages, and 70-73% third marriages fail. That’s a lot of heartbreak! Then, I thought, What does the Bible say about marriage? I discovered a lot, but wanted to share two ideas I believe could help many marriages be healthier. Wives, be subject to your own husbands, as to the Lord. Wives submit to their husbands. In today’s culture, submit is a taboo word. Due most in part by people who have abused their God given authority. However, the definition of submit is simply to accept or yield to the authority or will of another person; namely your spouse. I’ll be the first to admit it’s not easy as I am a very strong and independent woman. However, I find when I do, there is less strife in our marriage. 2. Husbands love your wives. Again, it today’s culture, men are taught to be strong, self-sufficient and stuff your emotions. Yet, one definition of love is a person or thing that one loves; beloved, dearest. Perhaps marriages would be happier if husbands (and wives) loved their spouses unconditionally. To further define characteristics of love, here’s what the Bible lists. Love is patient and kind; love does not envy or boast; it is not arrogant or rude. Wow, imagine if all marriages were filled with this selfless love! Maybe, just maybe, the divorce rate would diminish significantly or be eliminated entirely. Do you have any marriage insight you’d like to share with us? If so, I’d love to hear it! This week, I researched the top issues facing marriage and family today. As I suspected, communication landed in both arenas. Then, I got to thinking, What does the Bible say about communication? I discovered several basic truths about communication and I will share with you two. When I read this long ago, I took it to heart and do my best to stick to it. In addition, when I do say “Yes” to a committment, I do my best to fulfill it. People may not like it when I say “No,” however, they will appreciate my follow through when I do agree. I think back to a time when I worked in the semiconductor industry. I remember a director who reported into the same vice president I did. It was my first experience with a “Yes man.” Our VP would ask him can it be done and his proverbial answer was “Yes.” However, each week when we presented our metrics, the lofty goals were often not met. I used to get so frustrated and decided I would not follow suit. If I knew my team could complete the assignment, I would sign up for the task. If we could not, I simply would say we cannot do “X,” but we can do “Y.” As a result, my superiors respected my results and appreciated our contribution. If you find yourself overcommitted, I urge you to take a look at what your to do list is and ask yourself do I really need to do all of this? If the answer is “No,” then reprioritize and communicate your intentions to others. Like me, you may experience less stress and increased satisfaction for a job well done. Do not lie is found in the 10 Commandments that were handed down to the Israelites by their leader Moses. He met with God on the top of Mt. Sinai and was given laws to live by which were incorporated into Judaism and Christianity. I strive to tell the truth; even though sometimes it hurts or is humbling. Admittedly, it is not always the easiest course of action. It is sometimes easier to tell a little white lie. However, it’s been my experience that if I lie, I often have to cover it up with more lies. It’s exhausting trying to remember what I told different people. So for this gal, honesty is the best policy, and I think people appreciate it. If you find yourself caught in a web of lies, I would encourage you to untangle it by simply telling the truth. Like me, you may experience freedom in your communication and relations. These are just two of the many biblical ways to communicate with your circle of influence. Best wishes with your marriage and family. I’d love to hear what communication techniques you’ve found successful. Please feel free to share with us!